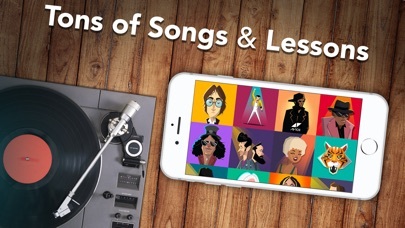 I’m an at home beginner and I was excited to get this app, I finished the first 5 lessons given for free and then the offers came in. It’s a great app but the paying is the only problem. You could at least give us more than just 5 lessons. It won’t lets me pass the ‘addjng the note e stage’ because it keeps saying I’m missing the notes and it’s very frustrating. On practice mode it’s fine it’s just when the music is added it’s like it doesn’t hear me. I have leaned a whole lot! More than what 30 minutes a week will give you that is! I would’ve given this a much higher rating as I actually really did love it! However, I don’t think that you should have to put in your credit card information if you’re actually getting a free week. And then life gets in the way, and you forget to cancel if you don’t like it or you just realize you don’t have time because you’re practicing other instruments. So I would’ve given it much higher if you really just give me a free week, and let me see if I can work it into my schedule. 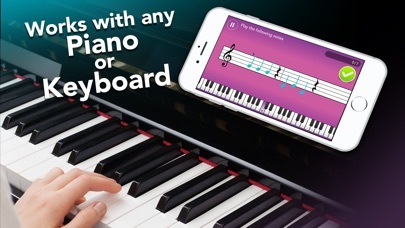 I love this app!It makes learning piano easy and fun!I use it 24/7!Ive learned a lot from this app! Note: This review is coming from the person who doesn’t care when 8 year olds are yelling that my arm is scary-looking. This can tell you just how ticked off I am about this. This is the first 1 star review I’ve given to any app. 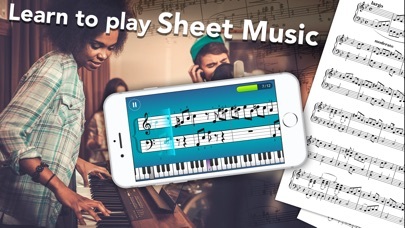 This game could be fun, but I only want to know how to play my favorite songs like the add said. I know how to play the freaking piano. I told the game at the beginning that I can play the freaking piano. IT MADE ME START AT THE FREAKING INTRODUCTION TO NOTES. I KNOW WHAT A MIDDLE C IS. IM NOT DUMB. To top that, the microphone isn’t hearing the piano half the time. (THE PIANO DOESN’T NEED TO BE TUNED. IT WORKS PERFECTLY.) I could tell I was playing loud enough, but the dumb game has a bad microphone. And even worse when I fail three times it sends me to practice mode. IM NOT AN IDIOT. IF I NEED THE PRACTICE MODE I’LL TURN IT ON MYSELF. You think that’s all the complaints I have? No no no. I have to PAY to go on after I did the dumb basics. Anyone who reads this, don’t waste your time, money, or storage on this stupid app. 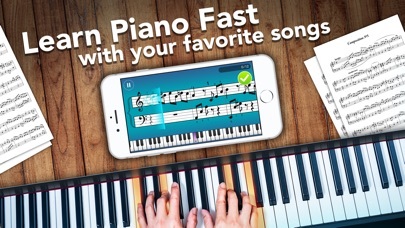 Just get regular piano lessons. Or go to YouTube. You can learn piano for free on YouTube. 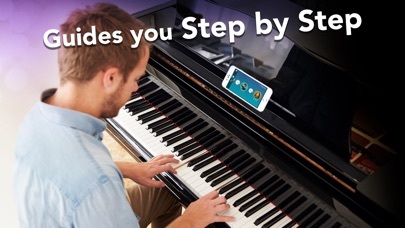 I don’t exactly know since I’M NOT PAYING FOR THESE OVERPRICED PIANO LESSONS, but if someone who likes this app is playing you should make a one handed part so one handed people can play. I personally consider myself as 1 and a half handed but I still can’t play over one key at a time with my left hand. Please be more considerate to anyone who only has one (or one and a half) arms/hands or to people who can’t move one hand. It can be one of the questions at the beginning. I’m really disappointed about all this. Please fix your app.